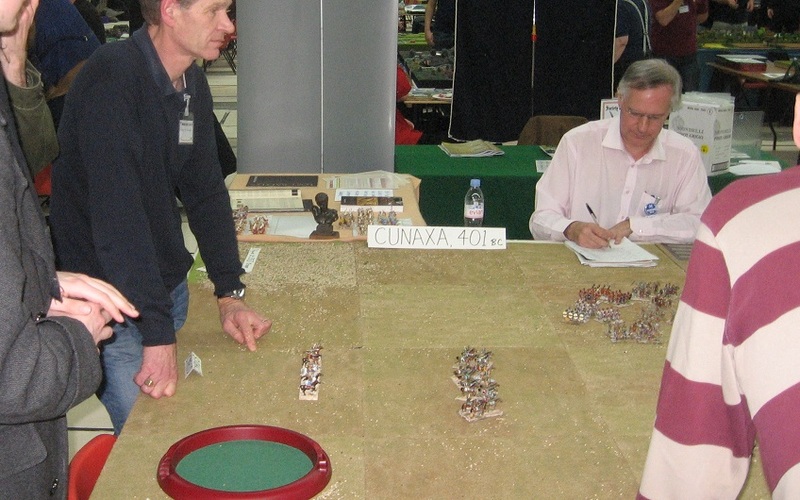 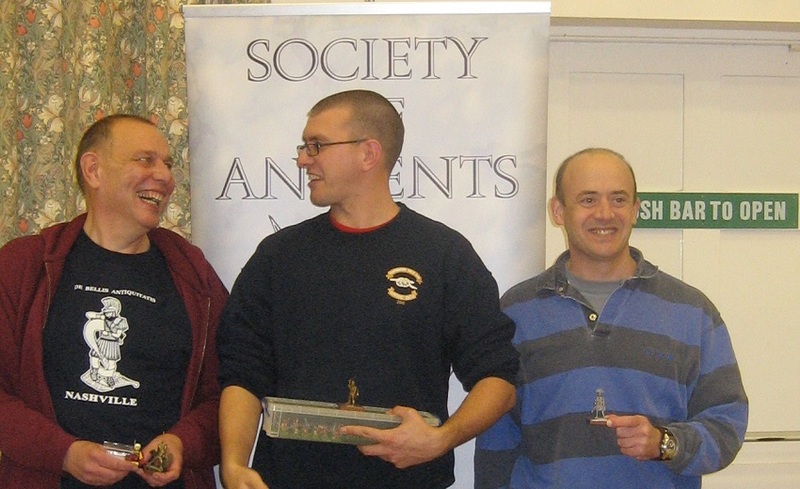 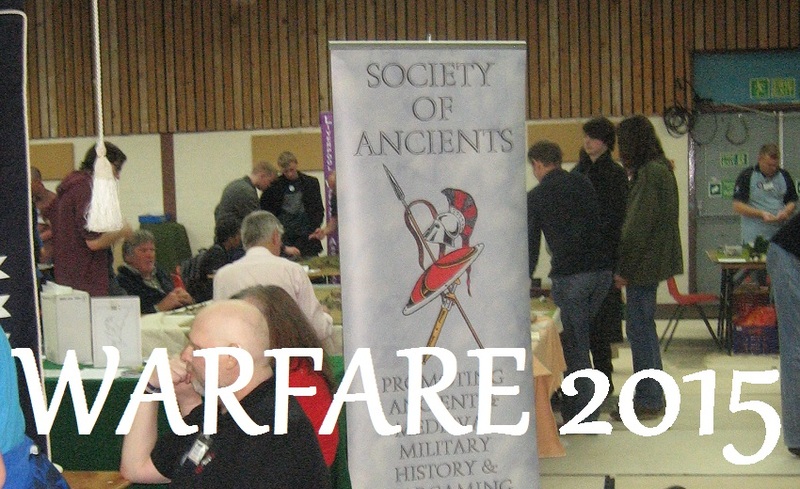 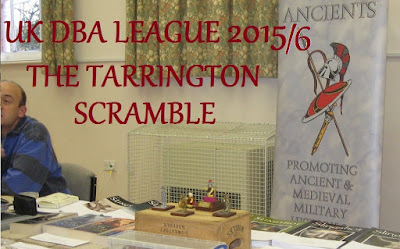 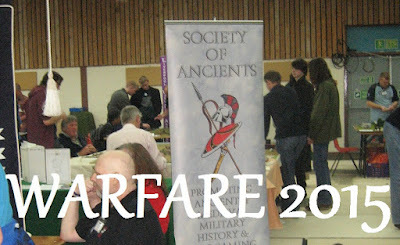 OK ... off to deepest Herefordshire for another round of the Society of Ancients UK DBA League - now in the 2015/16 season. 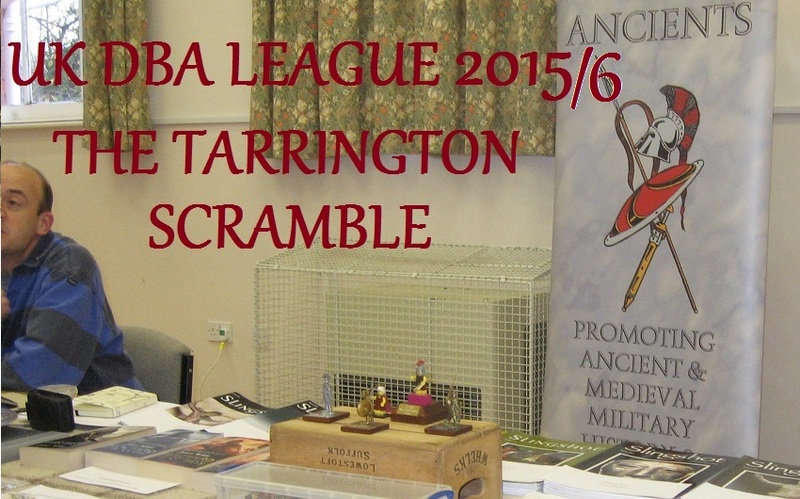 Actually, Tarrington is really quite accessible, being some 12 miles or so from the motorway (so just about dual carriageway/motorway all the way from my door) - so don't imagine it is the middle of nowhere when you see this event advertised next time: it is easy to get to and a great format. Highly recommended - don't miss it. 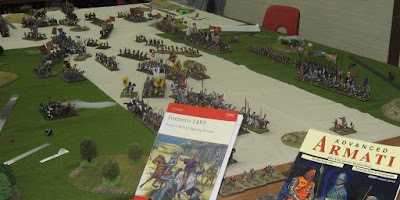 The format is an open 'scramble' - you donate an army (any) to the pool. You get to play against it in round 1 and with it in the final round. In between, you play with and against a random army supplied by one of the other players. 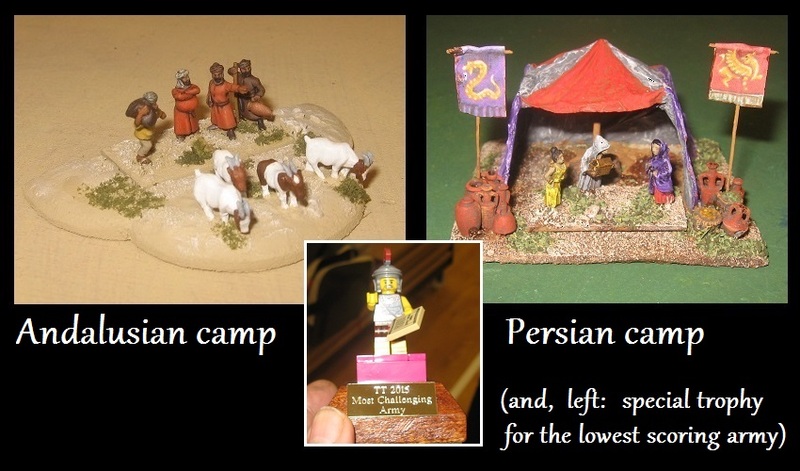 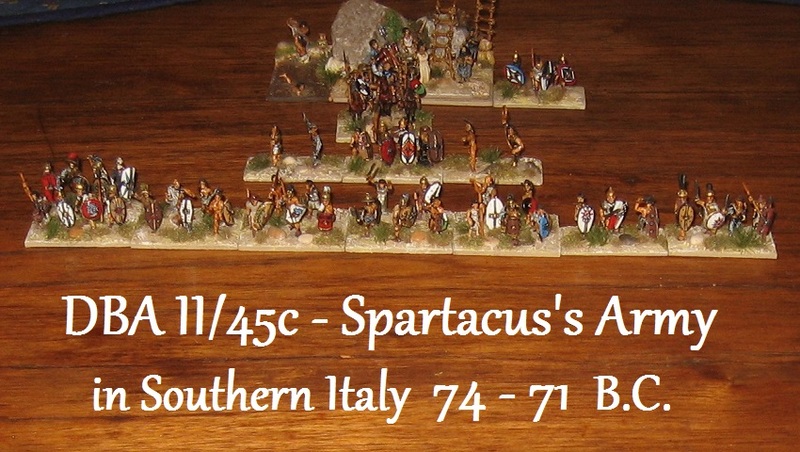 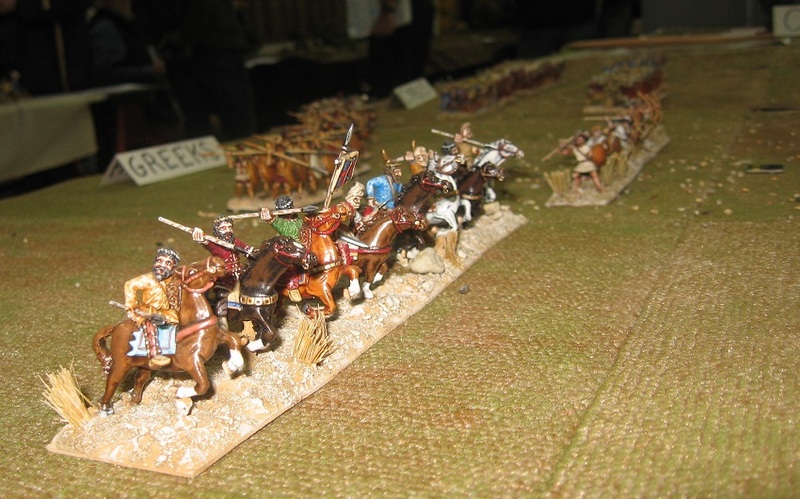 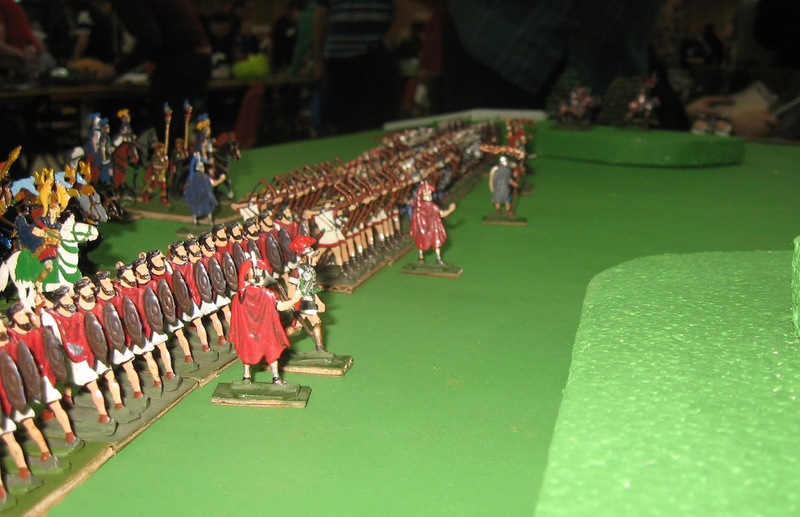 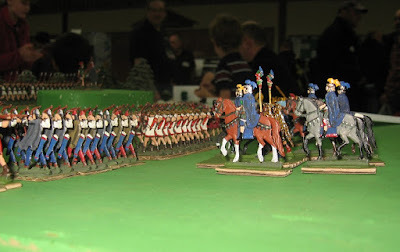 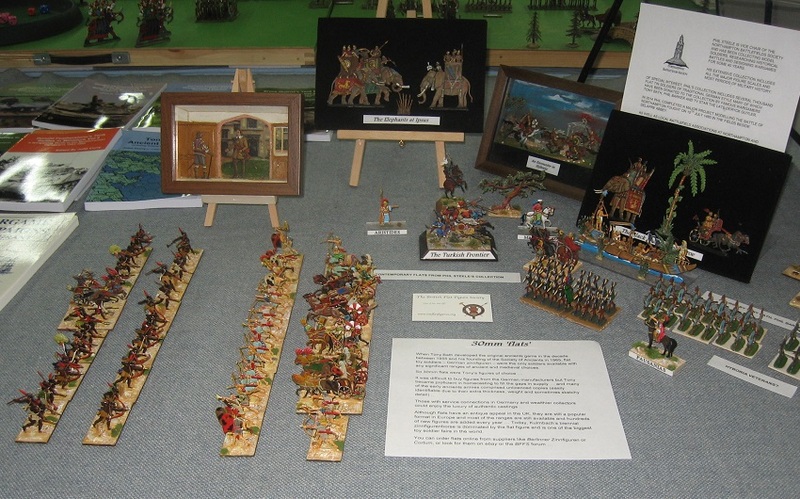 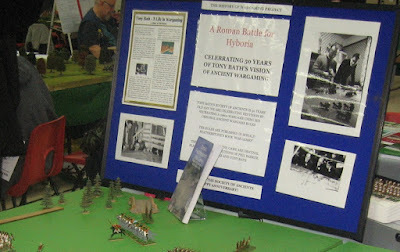 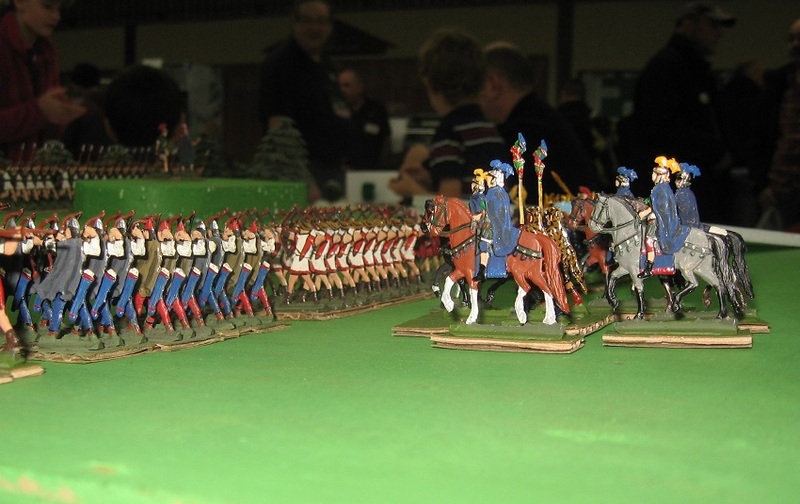 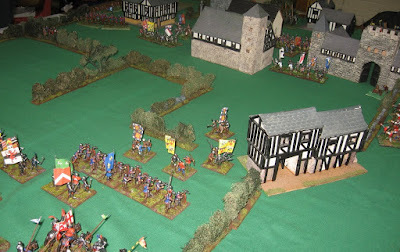 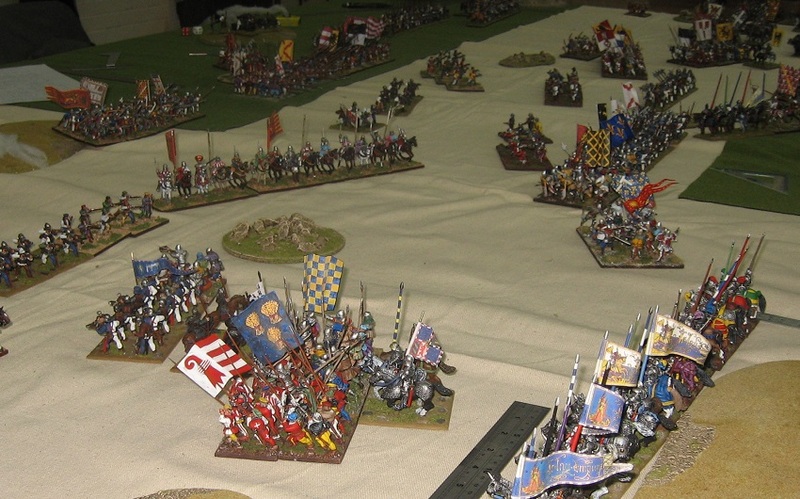 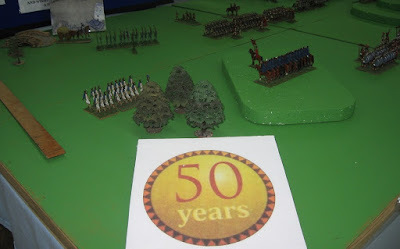 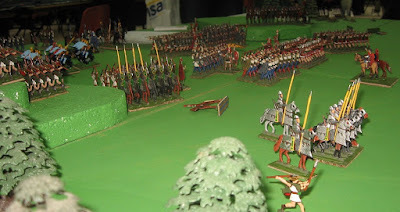 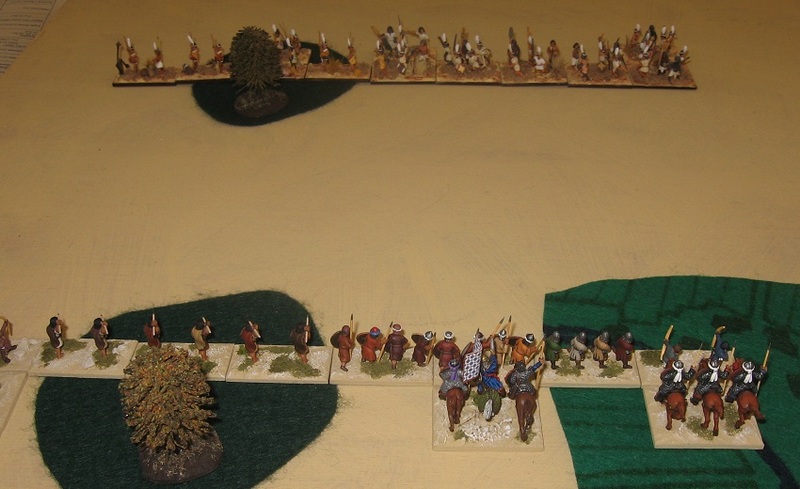 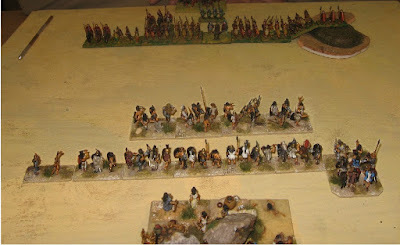 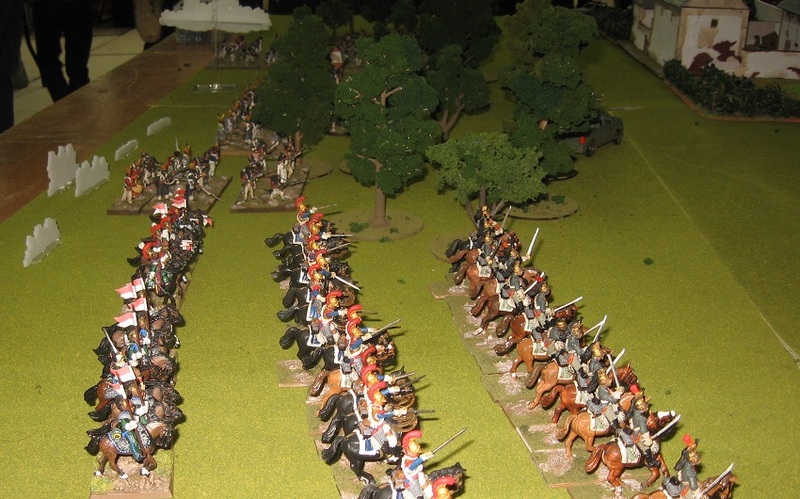 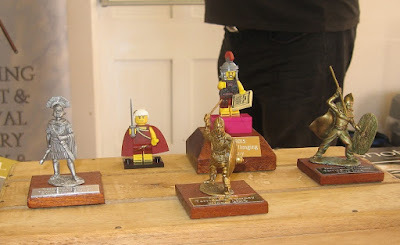 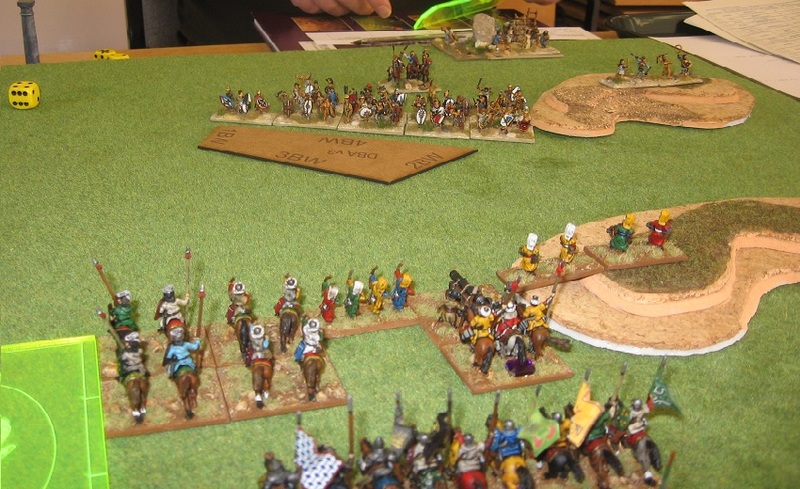 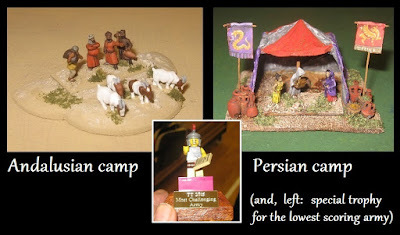 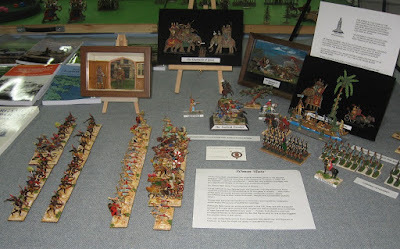 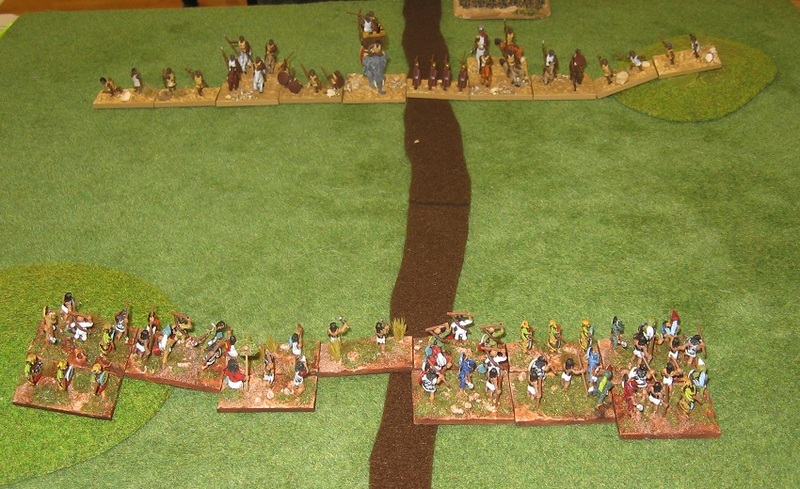 Followers of this blog might recall I took a Marian Roman army to the English Open a few weeks back - with the back story that it was half of a pair that I had built for the Alton Pairs but then not been able to attend. 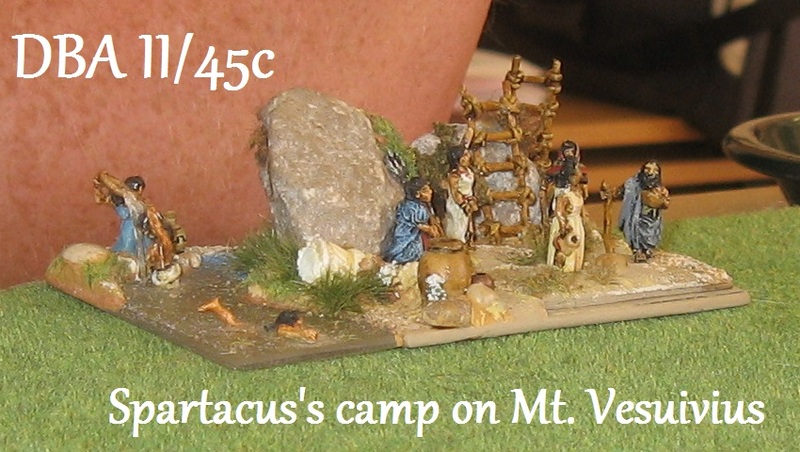 ... with Jean Simmons skinny dipping in a secluded pool ... (or so Stanley Kubrick would imagine it) .. The army has 4 (fast) hordes, and I was interested to see how they would do over a sequence of games. 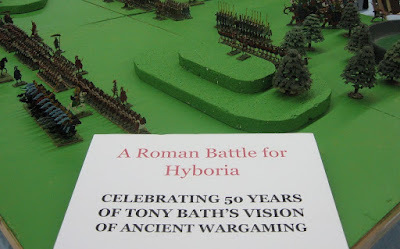 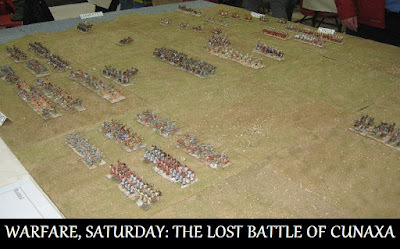 A lot of generic/what ifs there ... not really hisotrical (nearest was probably Libyans vs Persians although wrong sort of Libyans perhaps .. ) but all of them intriguing challenges and plenty of opportunities for me to learn more about hordes!!! 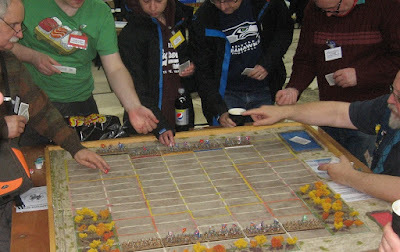 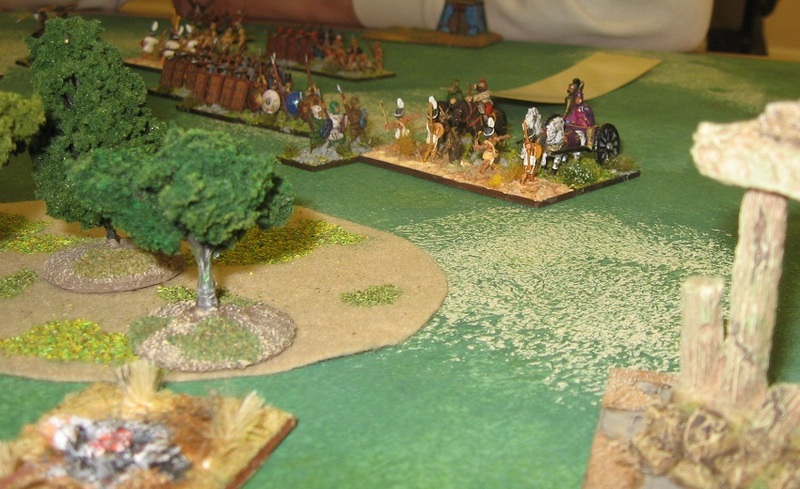 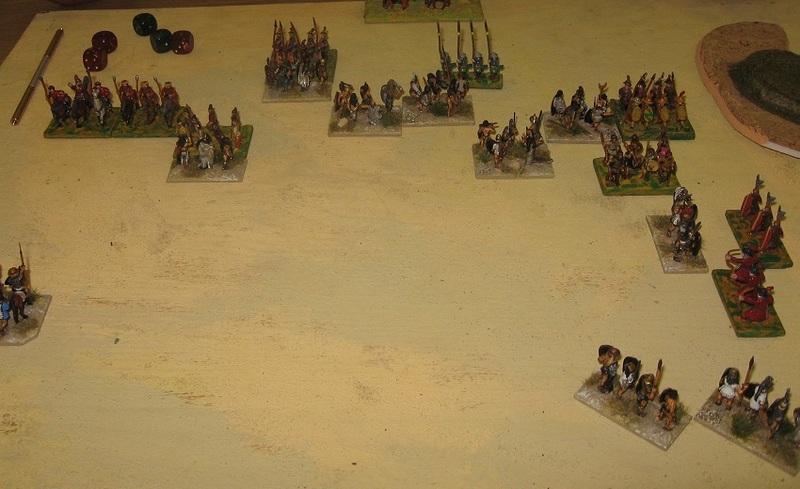 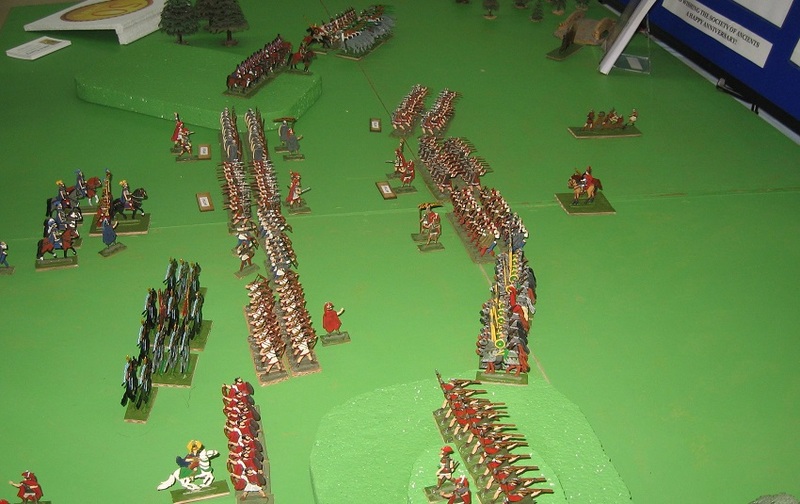 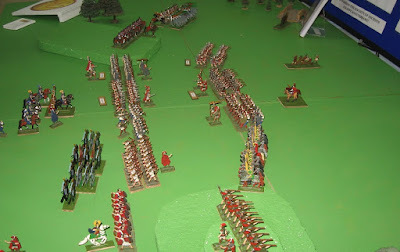 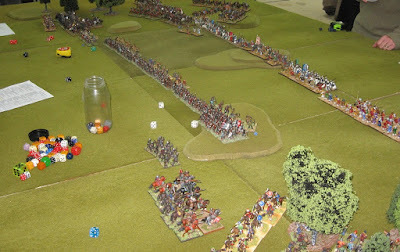 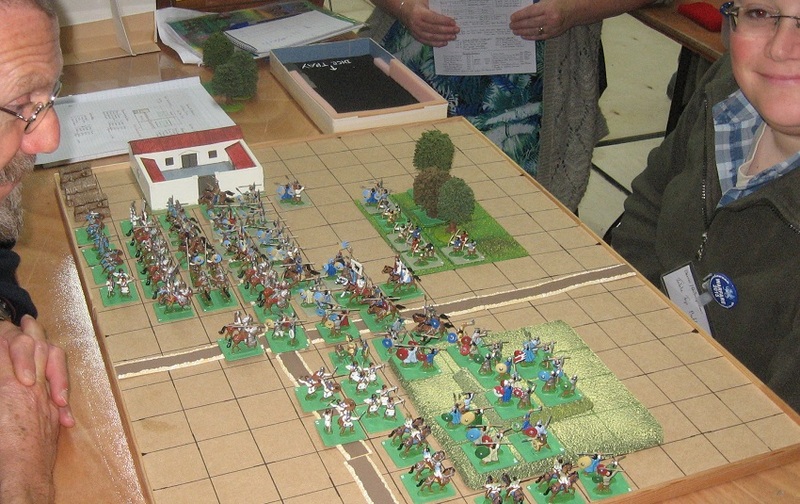 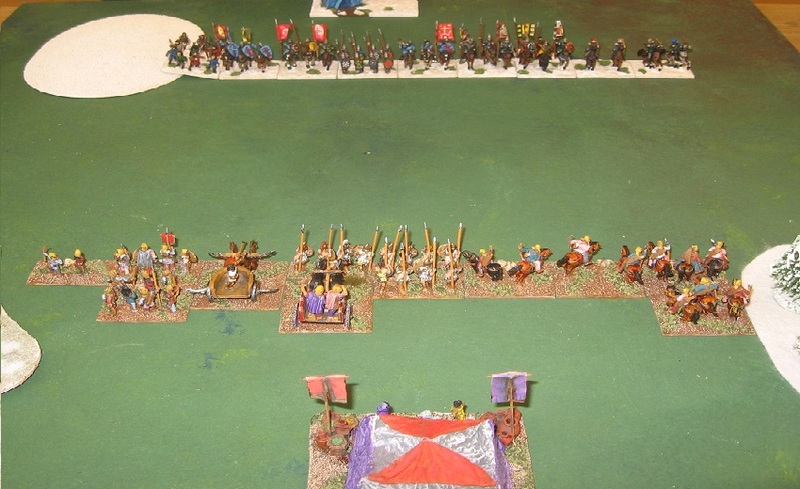 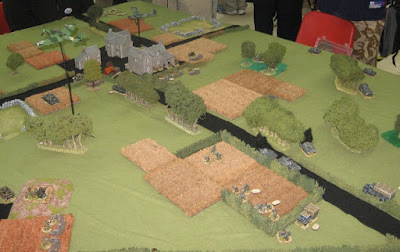 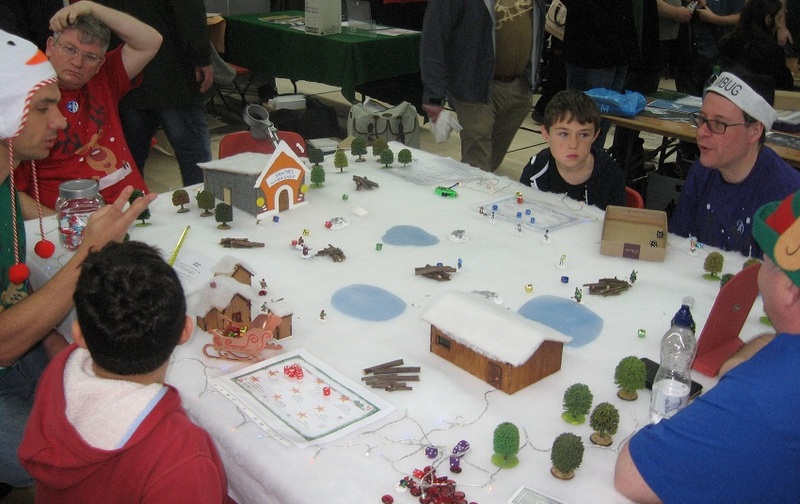 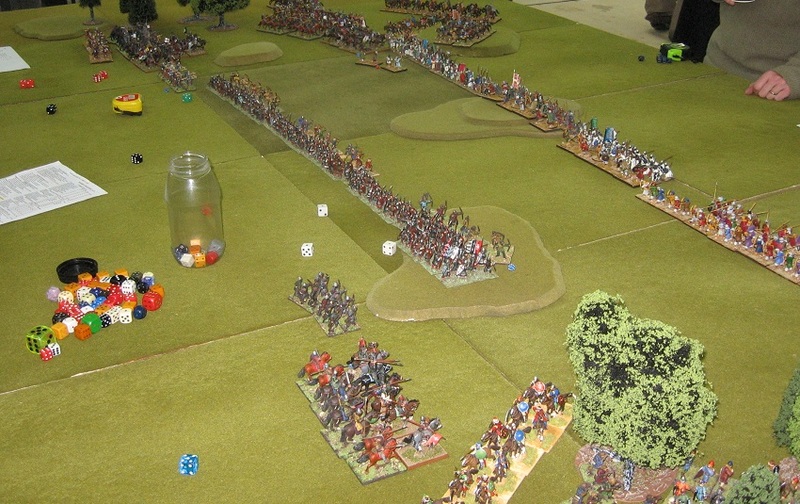 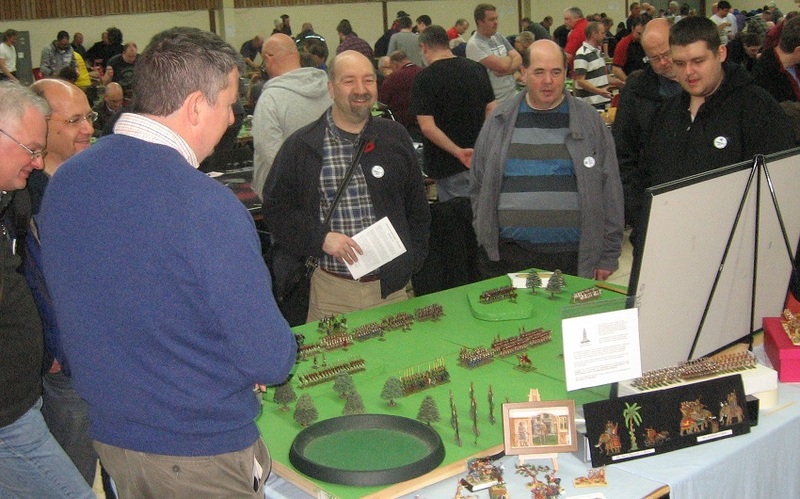 Players supplied the terrain with the armies (and players drawing the army had to use the terrain - only and all - as provided) ... there was an option to provide larger boards but all I saw were standard 24" battlefields. I won 2 of my 6 games and I think got one draw ... so finished lower middle (slightly less successful than my army) ... Then again, I did use both of the horde armies and the Aztecs, indeed, won the most challenging award (for the lowest scores) ... and I think I want one! 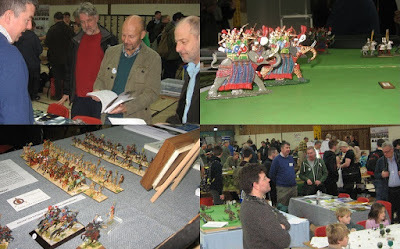 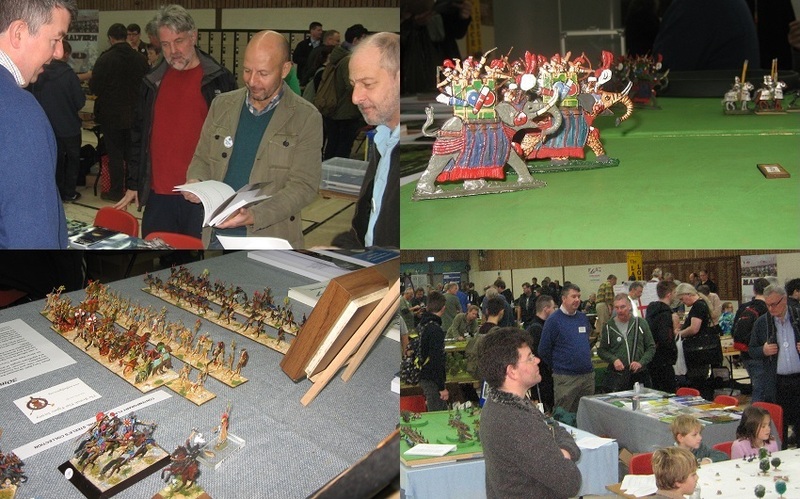 Thanks to Martin Myers for organising the event and thanks to all the players for a splendid set of nicely presented and interesting armies.